Chicago is not just a more polite, whiter version of New York. Well, actually it is, but it’s also much more than that. Architecture buffs swoon over a skyline chock full of important buildings completed 100 years ago or 100 days ago. 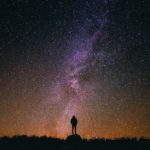 Outdoors and art lovers have myriad options including the fabulous Millennium Park with clever interactive art installations and a robust lineup of free outdoor music at the Jay Pritzker Pavilion from now through the end of August. Chicago’s food scene has evolved considerably over the past several years. It’s excellent and largely neighborhood based. We discovered a few fabulous options, including one in Oak Park (below) that’s well worth a 70-minute round trip subway trip. 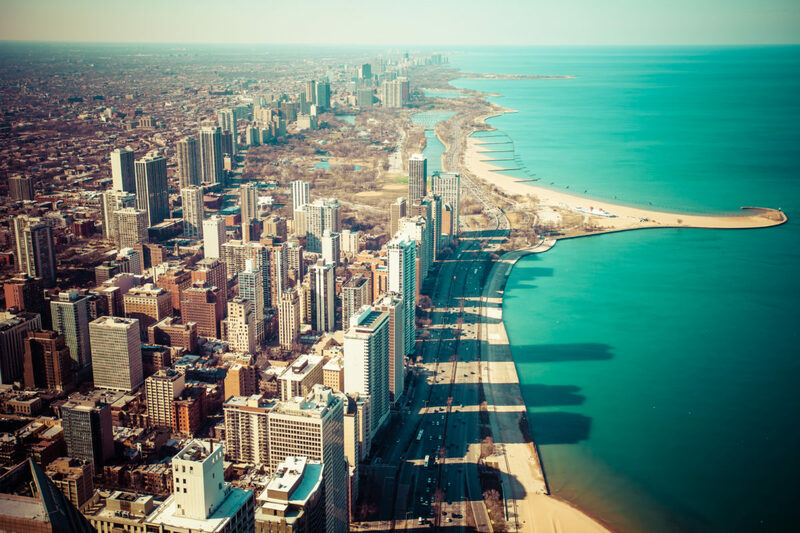 Gay travelers are of course welcome throughout the city but Chicago boasts a gayborhood that is more vibrant than ever and actually still full of LGBTQ people who live, work and party in the area. Everyone (from public officials to cab drivers) calls it Boystown but it’s officially known as East Lakeview, and it was the first officially recognized gay village in the United States. 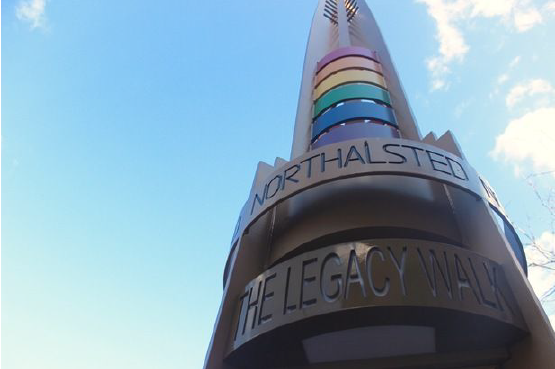 Here are our top 10 LGBT Chicago noteworthy discoveries from a recent visit including a couple in Oak Park, with a delicious bonus surprise. After all that Legacy Walking, check out this gay-popular contemporary American restaurant which has been a fixture of Boystown for the past 14 years. It recently underwent a top-to-bottom renovation. The menu is eclectic: Grab a burger or indulge in a filet mignon. The service and atmosphere are super homey and friendly. We popped in here for a pre-theater nibble before heading to Blue Man Group about-show a few minutes away on foot. This visit we stayed at the hip, affordable boutique budget property located downtown boasting a number of endearing features. Every room features an Amazon Alexa which connects into the hotel system so you can ask the temperature but also order additional towels via voice command. Book direct via their website and receive a $10 gift card each day of your stay at their onsite Bodega (casual bar) or West Town Bakery (coffee and pastries), though note that the service at the latter is irritatingly slow at the all-crucial morning coffee hour. Chicago’s Team Giant. They’ll also offer takeaway sandwiches and other light fare. You don’t go to Chicago to see Broadway plays. Or do you?! We recently saw Hamilton in the Windy City and it was every bit as heart-thumpingly exciting as the original, which we saw with the original cast in October 2015. Also catch: An American In Paris , Beautiful — the Carole King Musical , the Humans and more. Tickets are more available and less expensive than in New York. And you don’t have to deal with pesky Times Square crowds. 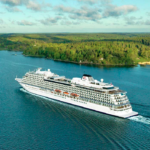 This 90-minute narrated river cruise is one of the top tours in the U.S. according to TripAdvisor members and one of the top attractions in Chicago. It’s for those interested in architecture as well as those who may not know they are. Just be prepared for an hour and a half of college-professor-level lecturing. Might not want to bring wriggly kids or that younger impatient attention-challenged boyfriend. The first and only museum of its kind in the U.S., the American Writers Museum celebrates American writers and explores their influence on our history, culture and daily lives. There’s a special room focusing on literary figures with a connection to Chicago making this a great place to get a different perspective on the city. You can find stunning views of the city all over Chicago but none match those from the Ledge on the 103rd floor of the Willis Tower. 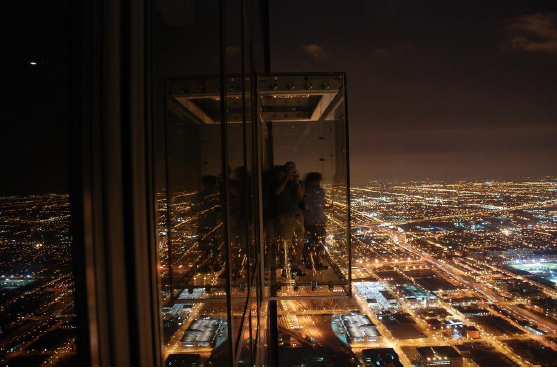 Glass boxes extend over 4 feet out from the Skydeck providing views straight down 1,353 feet … directly below your feet! It’s kinda scary. We won’t lie. On a clear day you can see up to 50 miles away, a perspective that encompasses four states. Cap off a stimulating day of architectural discover with a palate-pleasing meal at Obsessed opened this year and instantly popular with a loyal local clientele. Find great food, great drinks and great service in a friendly neighborhood spot that can hold its own against some of the best spots in big foodie capitals. The menu varies with what’s available seasonally but if you find these on the menu, order them: spicy fish tacos, pot stickers, mac ‘n’ cheese. Dinner only.